You have no idea how much I love that skirt! It's extra adorable with the striped top. That skirt is amaaaaazing!! The cut is stunning and I love the pattern. It looks great with the stripes! Obsessed with this skirt! The pattern is fabulous. Love that you paired it with that striped top! That skirt has such a unique pattern! Beautiful skirt! I love the pattern mixing here. That skirt is super cute!!!!! I really like the way you paired it with a striped shirt!!! 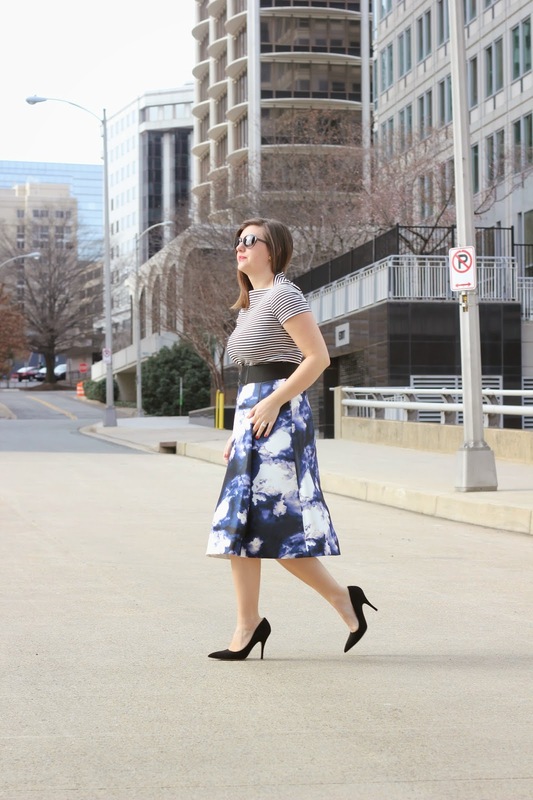 Great midi skirt, love the print! I'm DYING for that skirt, it is beyond gorgeous! I'm loving how you styled this look! !